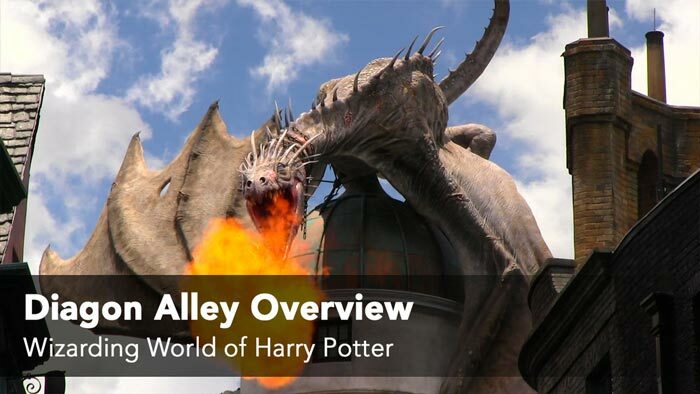 In the world of Harry Potter, Diagon Alley is primarily a shopping location that he visited every time he was in need of school supplies, so the Wizarding World of Harry Potter had to replicate a lot of the famous shopping locations from the books and films including Ollivanders: Makers of Fine Wands since 382 BC, Weasleys’ Wizard Wheezes, Madam Malkin’s Robes for All Occasions, Magical Menagerie, Wiseacre’s Wizarding Equipment, Quality Quidditch Supplies, Scribbulus and Wands by Gregorovitch. 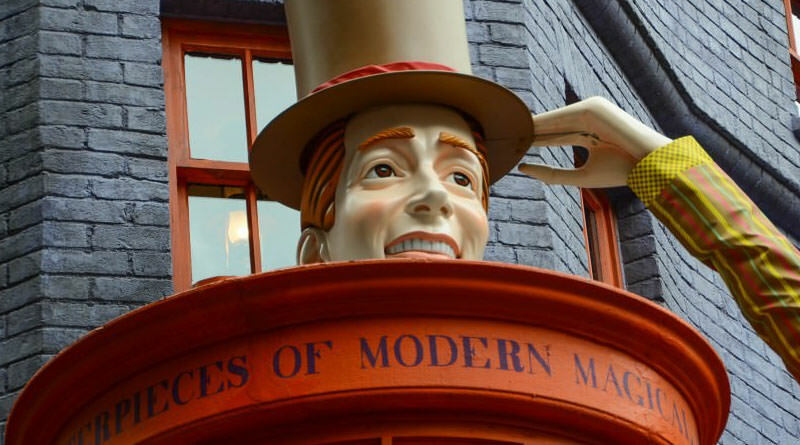 Venture into Knockturn Alley and you’ll also find Borgin and Burkes. 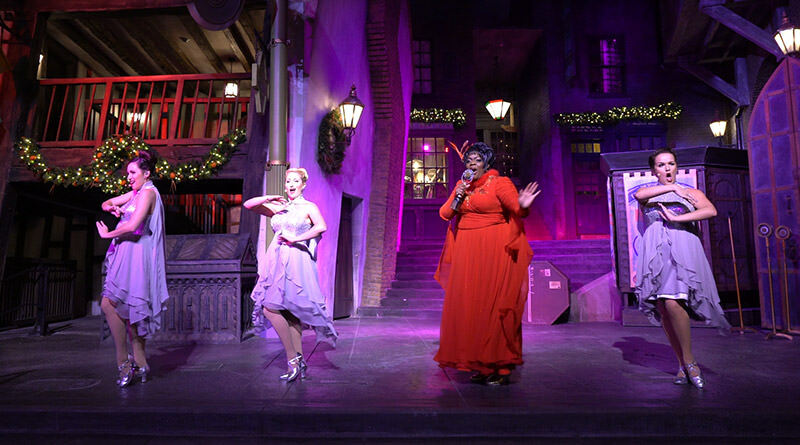 Gringotts Money Exchange allows you to convert muggle dollars into Gringotts Bank Notes. 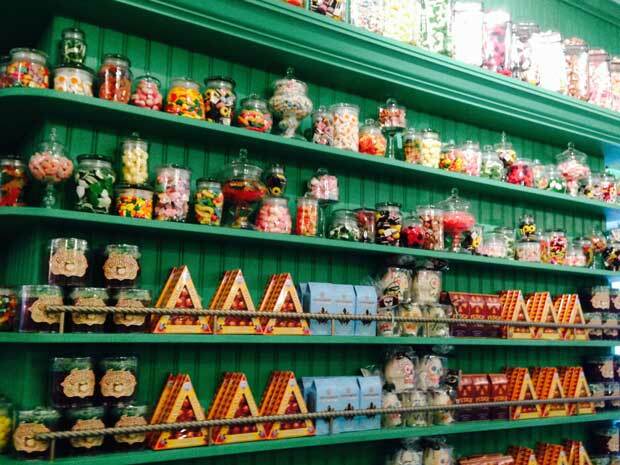 When George and Fred left Hogwarts they decided to open up a joke shop in Diagon Alley and sell a lot of the items they were already peddling around the halls of Hogwarts like Puking Pastilles. Fun items include U-No-Poo, Decoy Detonators, Extendable Ears, Skiving Snackboxes and many, many more. 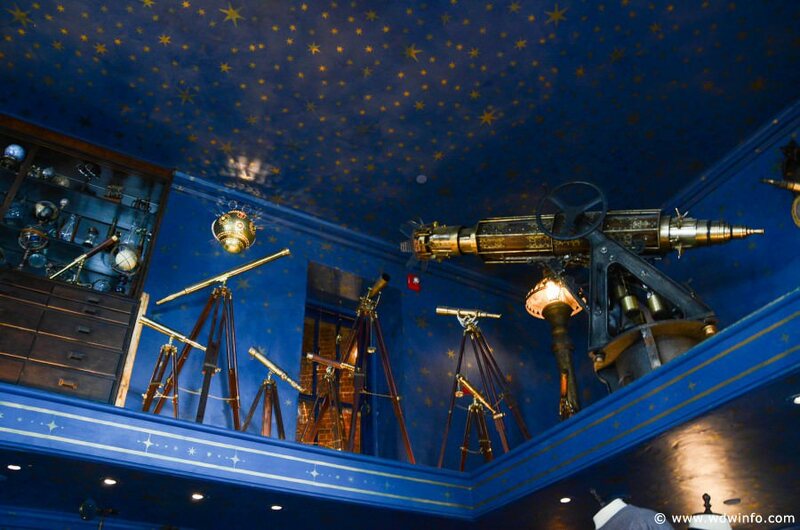 Don’t forget to look up at the ceiling to see the constant stream of fireworks. 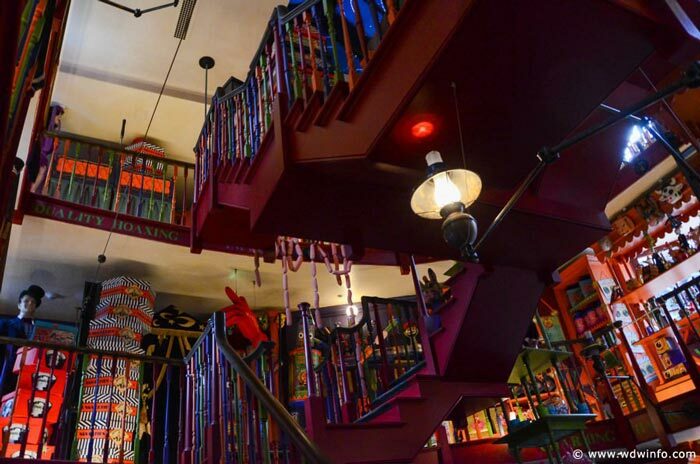 Madam Malkin’s is the only place to go if you’re looking to buy robes, sweaters, ties or other formal wear that is specific to Hogwarts houses. 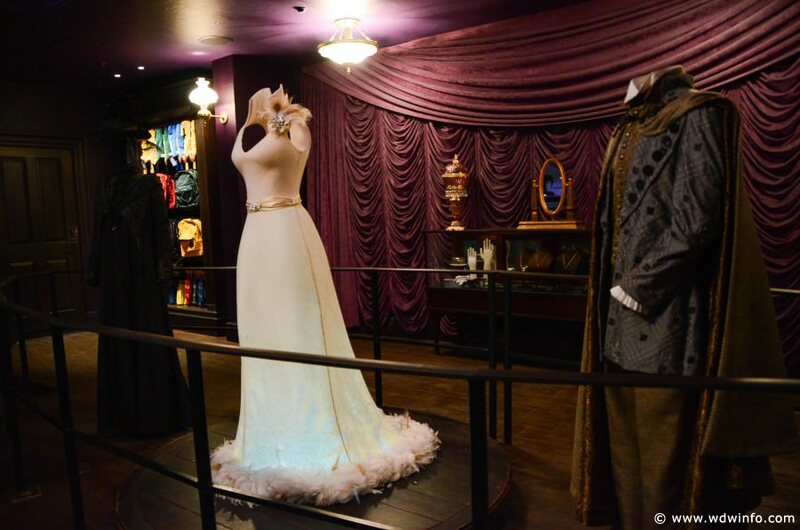 However, the coolest part of the store isn’t the merchandise itself, but authentic costumes for the movies including outfits worn by Professor Dumbledore, Gilderoy Lockhart, Professor McGonagall and Hermione. 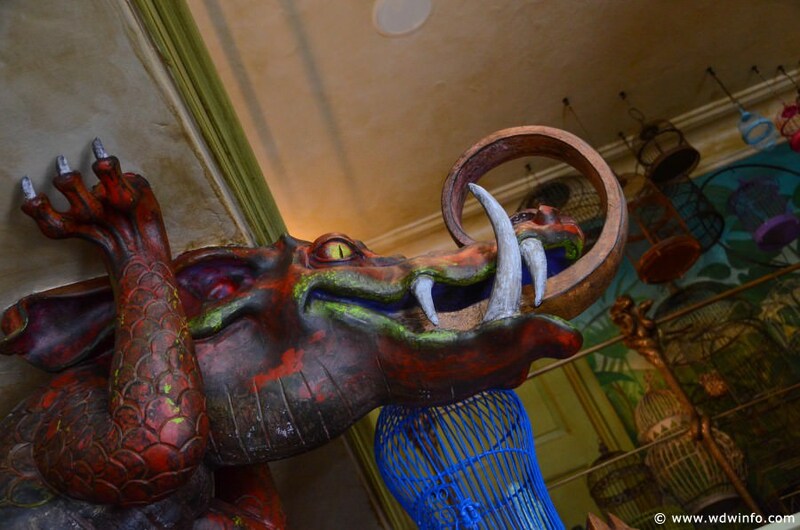 If you’re looking for a creature, real or mythical, Magical Menagerie is the place to shop. 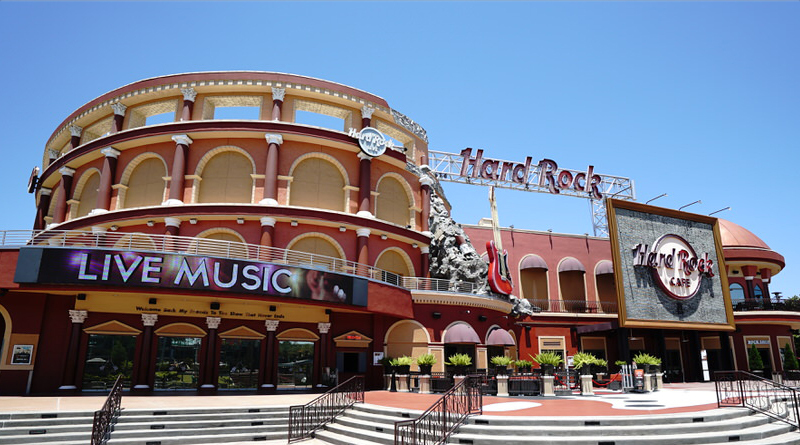 Even if you’re not looking to shop for plush animals, walk around the shop and try to spot the cool animatronics like the snake speaking parseltongue. 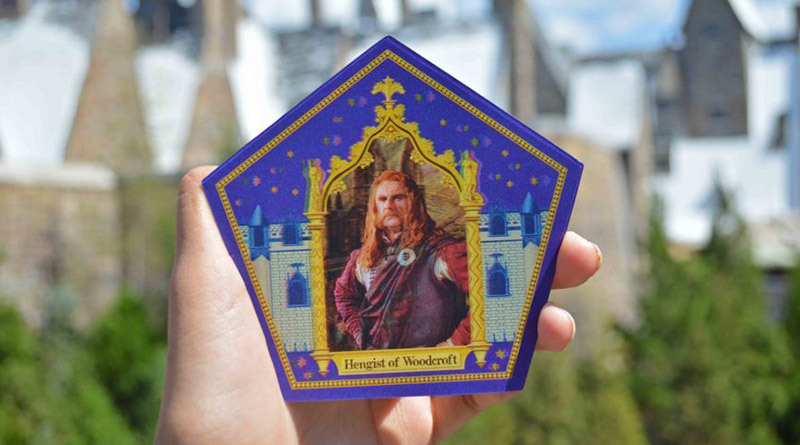 Wiseacre’s Wizarding Equipment includes a random assortment of Harry Potter related merchandise including cell phone cases, shirts, mugs, glasses and anything branded that didn’t fit in anywhere else. The best part of this store is all around the ceiling. 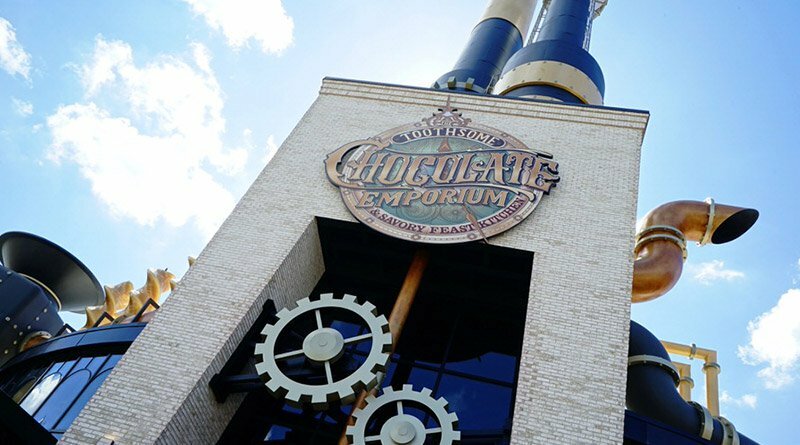 If you look up, you’ll notice lots of telescopes and other metal creations that were made using old film lenses from the studio as well as some props from the extinct Jaws attraction that was removed to make room for Diagon Alley. Scribbulus is the main location to stop at if you’re looking to purchase stationary items like notebooks, quills, envelopes and much more. 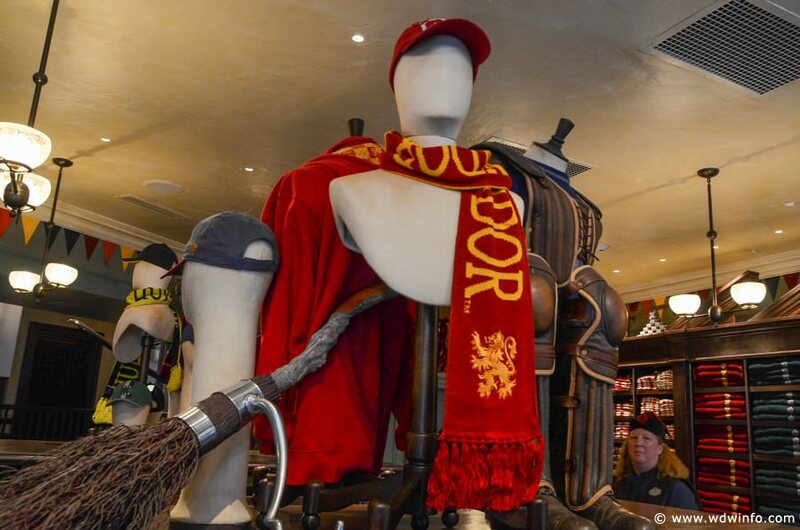 Quality Quidditch Supplies is all about showing your house pride. 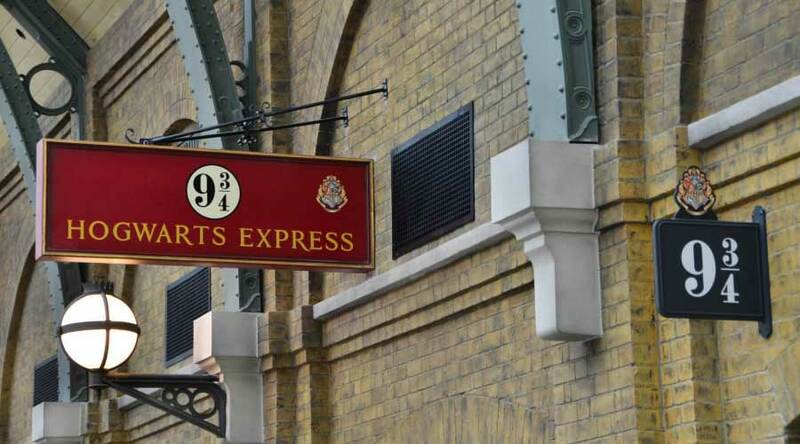 Although broomsticks are available to purchase, the bulk of the store is dedicated to shirts, scarves and other apparel featuring each of the Hogwarts houses. 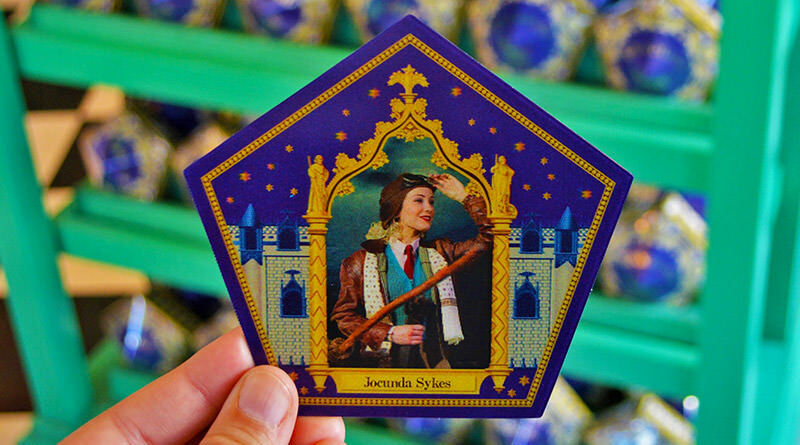 If you’re a fan of quidditch teams beyond Hogwarts, then head further to the back of the store to find more of unique items. 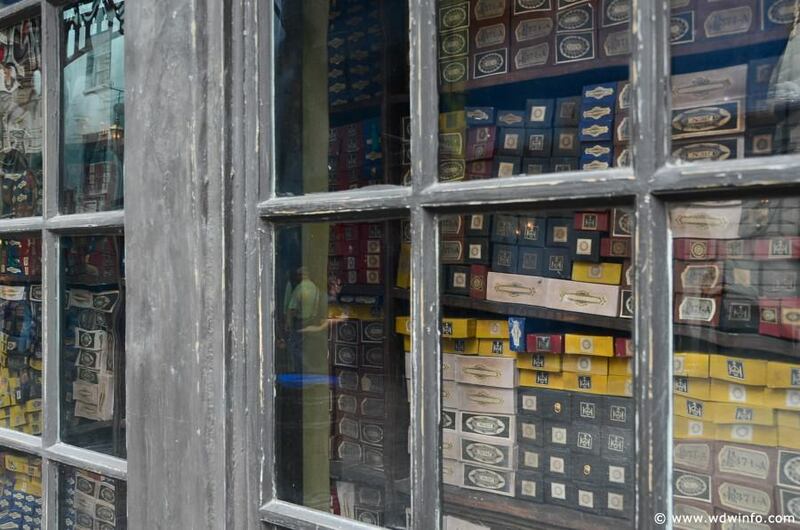 Ollivanders is the premiere shop to buy Ollivanders exclusive wands as well as replica wands from your favorite Harry Potter characters. 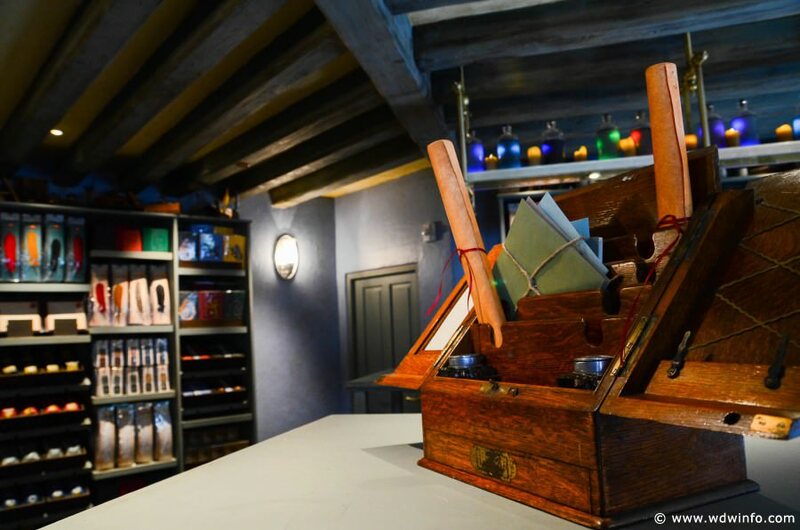 Interactive wands are now also available to purchase which use RFID technology to interact with elements positioned throughout both Diagon Alley and Hogsmeade. 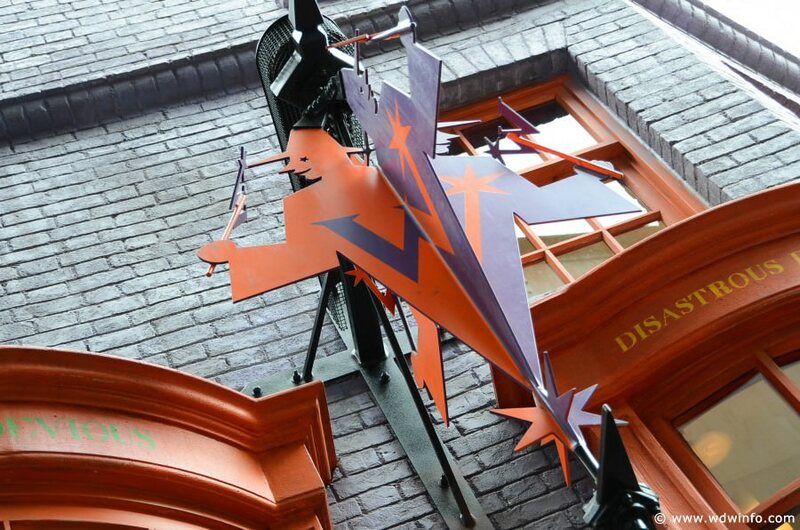 Wands by Gregorovitch is the other location within Diagon Alley for wizards and witches to buy wands. 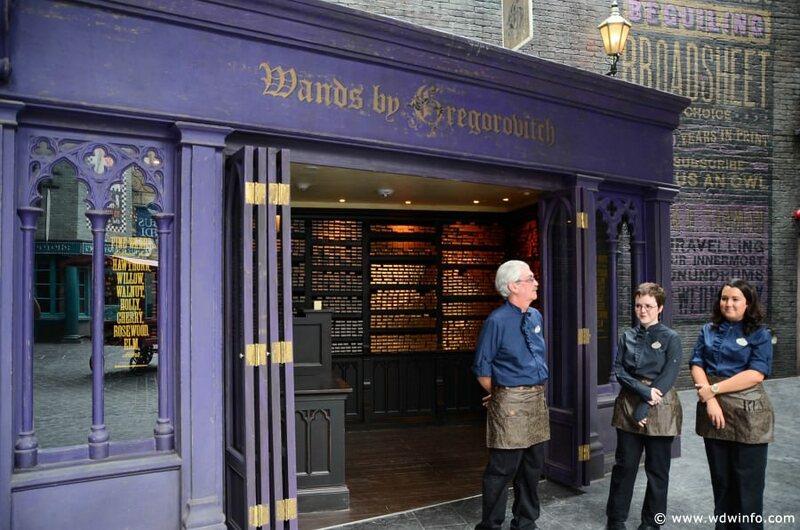 Although the size and selection is not as great as Ollivanders, you can’t go wrong with a Wand by Gregorovitch. Located in the always dark Knocturn Alley, Borgin and Burkes is the shopping location for those interested in the Dark Arts. 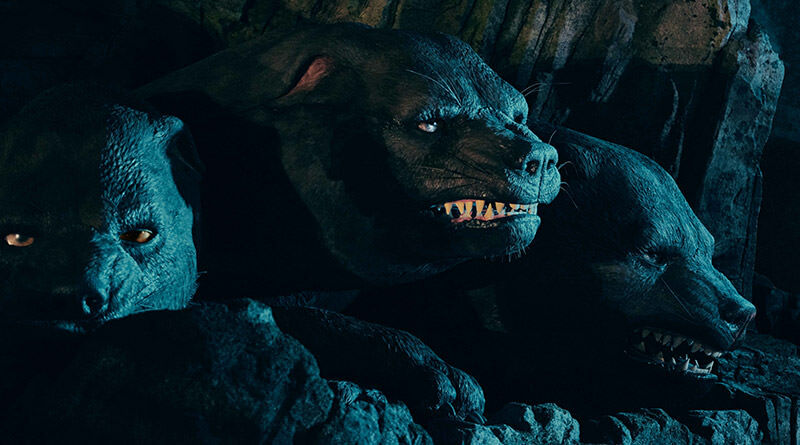 Death Eater masks and other merchandise is available as well as your standard skull and terrifying looking items. 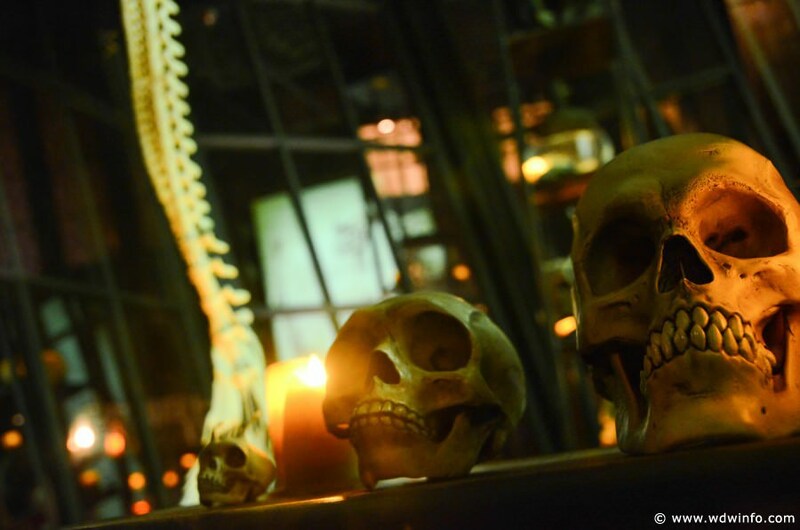 When inside Borgin and Burkes, find the Vanishing Cabinet and listen closely to see what you may hear. 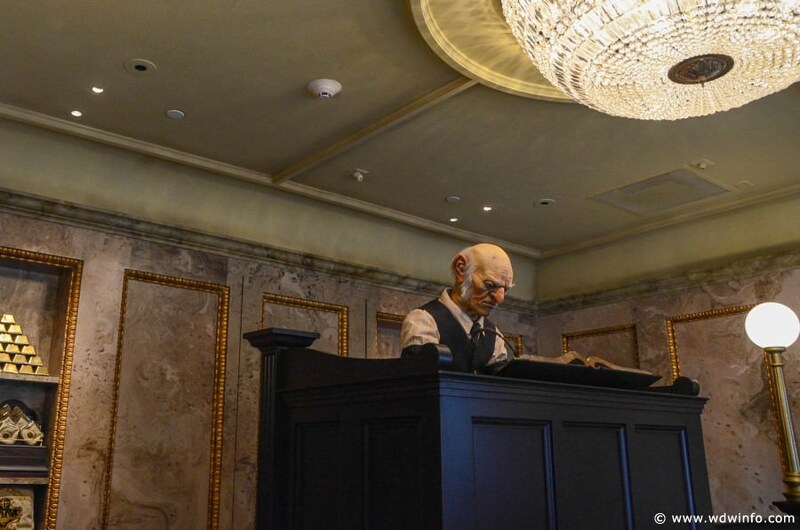 For those who don’t need to make a deposit at Gringotts, the Gringotts Money Exchange location is available to take muggle money and convert it to Gringotts Bank Notes. 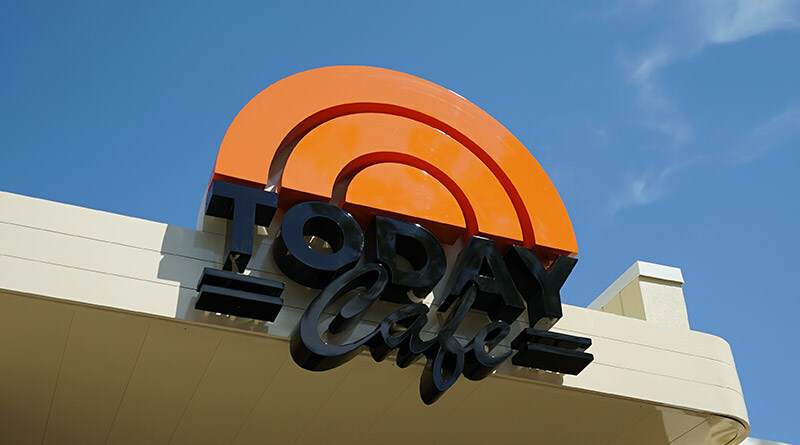 Bank notes currently are available in ten dollars and twenty dollars and a goblin is always at the desk to answer any questions you may have.